Well, J’s got a big weekend planned, but I don’t. We’ve had the luxury for the last couple years (if you want to call it that) of being able to make plans and not having to worry too much about whether or not I have to work. That changed a few weeks ago when I took a part time job. Now, most of our summer plans have been canceled including Fourth of July plans. Since she’ll be soaking up the sun most of the weekend while I’m at work, we wanted to get out today, run some errands, and, of course, pick up lunch. J e-mailed me from work and said find someplace. I have a couple places I’ve been wanting to go that I knew she would like. Too often, I pick places that I like and she puts up with. 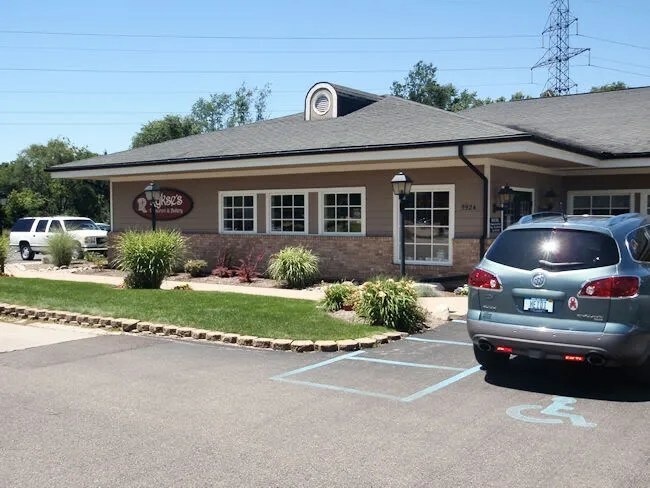 Today, I picked Rykse’s Restaurant on Stadium Drive west of US-131 at Quail Run Drive. I have had no reason since moving hear to go west on Stadium Drive, so I really had no idea what kind of place Rykse’s was before we got there. I was really surprised to find a nice, big building with a pretty full parking lot even though it was after 1:00. When you enter the building, you come in at the bakery section. Here, they have a pretty large selection of baked goods and pastries including home made pies and bread. We sort of glanced in the cases knowing we would come back after we ate lunch. The hostess station is right at the edge of the large dining room which was pretty full. We were taken to a booth along the outside wall. The hostess asked about drinks and returned a few minutes later with my Coke and J’s key lime lemonade. Our waitress was pretty far behind. After quite a long wait, a waitress stopped and asked if we were still waiting to order. J said yes and she explained that we were technically her table, but she had a big group in the back and the other waitresses were supposed to be helping her out. Obviously they weren’t so she took our order. I got the steak burger which comes with lettuce, tomato, and mayo. I asked to leave the mayo off and added blue cheese crumbles and bacon. I also upgraded to steak fries. The burger is served on a gorgeous home made bakery roll that is lightly toasted. 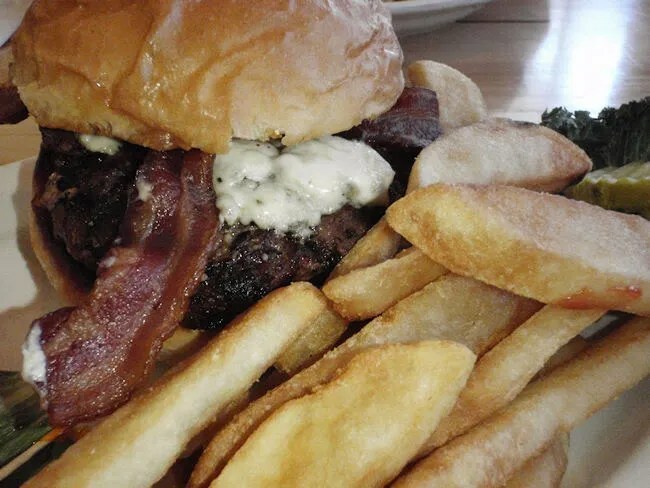 There was a mound of blue cheese crumbles and the bacon was cooked crispy and delicious. The burger was pretty well done which is the only thing I can say bad about it and even that wasn’t so bad. It was still a tasty burger, but being steak instead of ground beef, there wasn’t much fat which leaves a dryer patty. The steak fries were were pretty good size wedges, but not so big they were still raw in the middle. They were actually a perfect size and with a little salt from the shaker on the table, they were perfect. J could not decide what to order. They had so many fresh fruit specialty items that she had a hard time just picking one. The longer it took our waitress to take our order, the more times she changed her mind. When it finally did come to decision time, she ordered Randol’s Wrap. 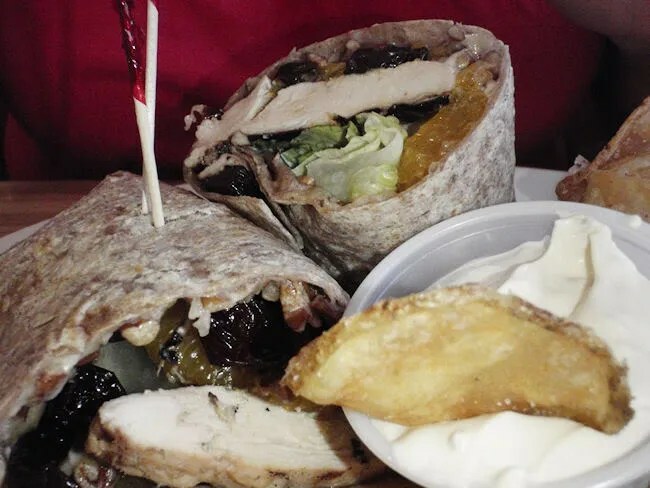 This thing starts with a whole wheat tortilla that is filled with cherry chicken breast, dried cherries, toasted pecans, romaine lettuce, Mandarin oranges, and scallions in a cherry sauce. She called it a salad in a wrap. It was delicious and she loved it. She was leaning towards a salad in the beginning, but got the best of both worlds with this option. For her side, she went with the homemade chips and french onion dip. Another good choice. The chips were golden, brown, and delicious as well as very crispy. Our bill, before dessert, was around twenty three bucks and you pay back at the cash register in the bakery. Our waitress asked about dessert, but we told her we’d just pick up something on the way out. 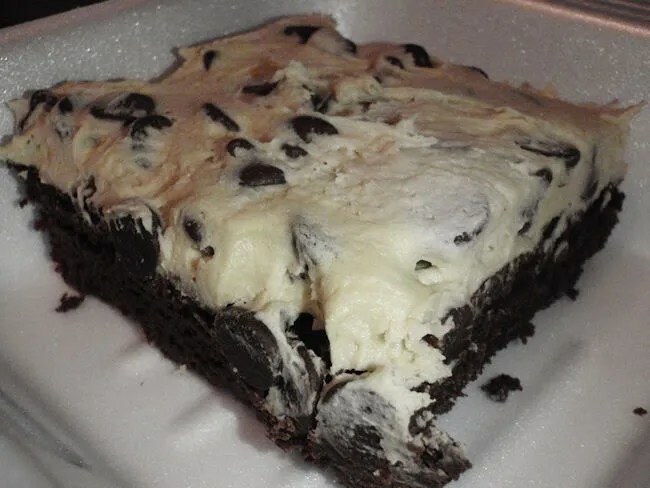 We both thought the cookie dough brownies looked good so we each got one. J also got an oatmeal sugar cookie. I really wanted to try one of the cinnamon rolls, but I didn’t see any in the case. We’ll have to go back for breakfast sometime though. Lunch was so good because everything they make is made fresh and made from scratch. 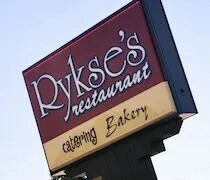 Rykse’s is a place I’m perplexed that it took us so long to find. The food is delicious and I love the idea that everything is made from scratch. It’s home cooking at it’s best. Good food. They got rid of the baskets some times ago, and serve your food hot on real plates! A lot of food for a good price, comfortable atmosphere.